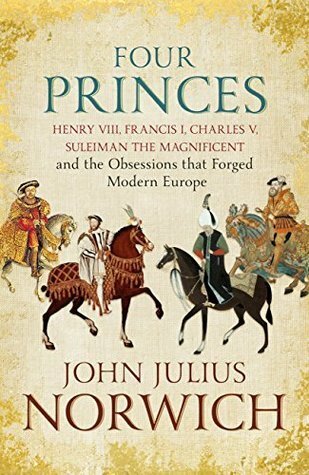 The subtitle of this book is “Henry VIII, Francis I, Charles V, Suleiman the Magnificent and the Obsessions that Forged Modern Europe”. Whew! How about that for raising expectations? But I have to say, this book delivers. There is a blurb inside the front cover that says this: “Never before had the world seen four such giants coexisting. Sometimes friends, more often enemies, always rivals, these four men together held Europe in the hollow of their hands.” This pretty much sums up the era and what a time it was. Europe was experiencing great upheaval. There was monumental transformations in matters of religion. The Renaissance began with new discoveries in science, mass printing of books and gorgeous art being produced. Amidst all this upheaval, there were four princes who ruled Europe, all with monumental egos. This books introduces us to the four men, giving their backgrounds. The author explains their changing alliances along with their bellicose warfare. There were many different meetings between these men which are described here. Treaties were made and broken. Invasions were mounted. Suleiman the Magnificent was at the outskirts of Vienna but drew back twice. Francis I of France stunned Europe by forging ties with the Sultan in an effort to stave off having France taken over by Charles V. Because the author has written about the papacy, he includes a lot of papal history and how it relates to the other rulers. You just can’t make this stuff up. I would classify this book as ‘popular history’, whatever that means. It is not meant to be an academic work and indeed, I found a few historical mistakes. These are just a few of the most glaring errors. Norwich states that King Francis I’s mother Louise of Savoy attended peace talks in Toledo in July of 1525. This is incorrect. Francis’ sister Marguerite was present and spoke directly to Charles V about the release of Francis from captivity after the devastating French loss at Pavia. Norwich also states that Cardinal Compeggio had been sent to England in 1518 and that he remained there from that date until the legatine court at Blackfriars in 1529 was convened to discuss the divorce of Henry VIII from Catherine of Aragon. This is not so. Compeggio had to travel from the continent to England for this trial. 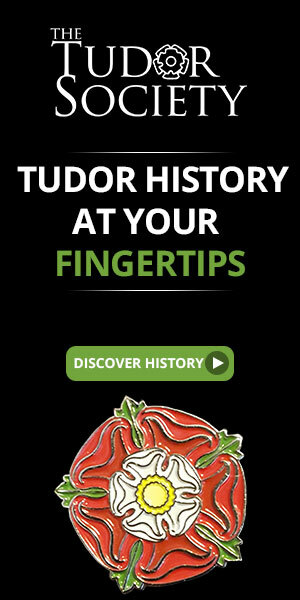 Norwich also has a footnote regarding Sir Thomas More where he states that Henry had More arrested after he refused to attend the King’s wedding to Anne Boleyn. I have no idea where he got this and it’s almost laughable. But this does not detract from the overall joy of reading the fascinating history of early modern Europe. The book has a section of beautiful color photos and a limited bibliography. It’s a good starting point for those who are new to the era and a good vacation read for those who know the history. This entry was posted in Book Reviews, General History Books, Tudor History Books and tagged book review, books, early modern history, Europe, Four Princes, Holy Roman Emperor Charles V, John Julius Norwich, King Francis I of France, King Henry VIII of England, medieval history, modern European history, Renaissance history, Suleiman the Magnificant, Sultan. Bookmark the permalink. Lord Norwich is one of my favourite historians. All of his works, especially on Venice and Byzantium are great introductions. Shame there appears to be a handful of mistakes in his attempt to cover four great rulers here. Nice review Susan.